FOR GUATEMALA CITY: On this tour you can appreciate the main cultural, residential, commercial, and economical infrastructure of the city. There will be a panoramic journey of the most important streets and avenues of the city, like the “Centro Cívico,” and its surroundings. FOR ANTIGUA: Located just one hour away from Guatemala City, Antigua is the most visited destination because of its history and its cultural beauty. The city of “Santiago de los Caballeros” is a colonial city, founded in 1543, which was the administrative, political and religious center of Chiapas and Central America until the year 1773. FOR GUATEMALA CITY: The Americas and Reforma Avenues are one of the most important streets and avenues of the city. 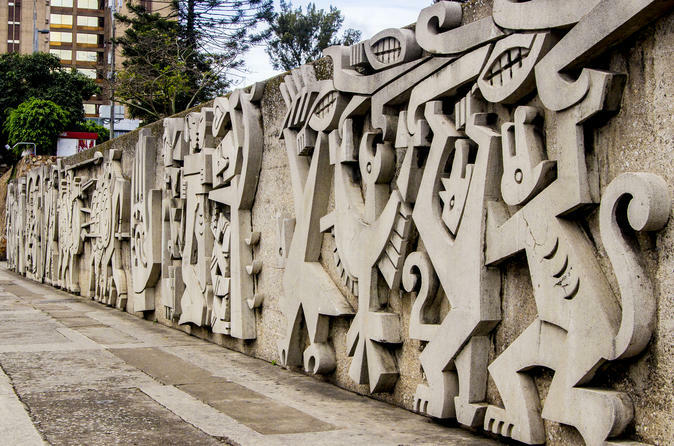 There, you will start a panoramic tour of Guatemala City after being picked up from your hotel, then you will learn about the history of Guatemala. The main attractions of this panoramic tour are: The Square of the Constitution, Centenary Park, Metropolitan Cathedral, National Culture Palace, Civic Center (Crédito Hipotecario Nacional, Bank of Guatemala, Supreme Court of Justice, Department of the Treasury and Town hall) and the Relief Map and for lunch we will suggest the most popular restaurants located in "Paseo Cayalá" The biggest mall at Central America. FOR ANTIGUA: The tour will start with a visit to“El Cerro de la Cruz”, where you can appreciate a spectacular view of the city and its surroundings. Later you will visit the “Plaza Mayor” and its surroundings. Next you will visit the “Templo y Convento La Merced y San Franscisco” where inside you can find the tomb of the only Central-American saint, the “Hermano Pedro de Betacurt”. In the afternoon you will have time for lunch followed by a visit to the “La Azotea” cultural center, where two museums are located: “El museo del café” (Coffee museum) and the “Casa k ’ojom” (Mayan music museum).